I was lucky enough to attend the 2000AD 40th convention in Hammersmith, London. It was a cracking event, absolutely rammed with creators and fans full of love for The Galaxy’s Greatest Comic. I attended as a punter, but I was invited by John Wagner to join him at his table so I could sign copies of ROK OF THE REDS. Of course it was an honour. 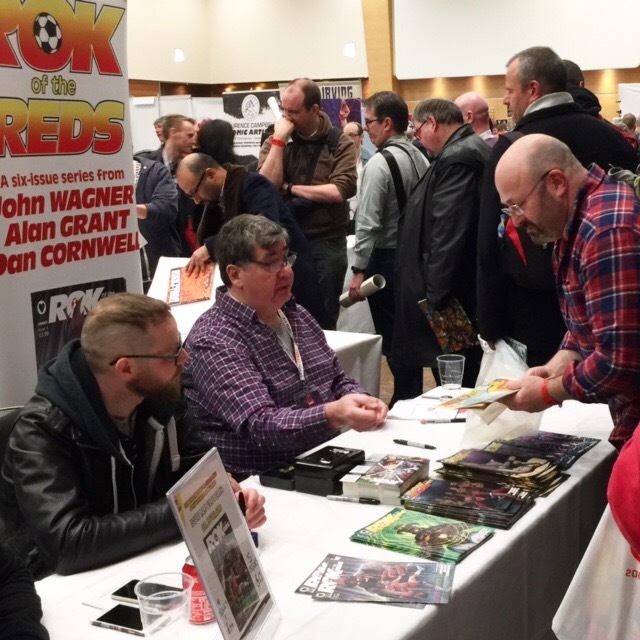 I hardly left the table throughout the day (apart from the odd pint or two at the bar) and signed hundreds of ROK comics which were going down a treat with the 2000AD crowd. It was an epic sales day, so much so that we actually ran out of issues 1-3! My only regret was I didn’t have time to wander the arena and gather signatures and chat to all the creators I have grown up reading and admiring. I bumped into Simon Bisley (quite literally) and grabbed at brief chat and photo, the only photo I have of the whole day! I also had a drunken (me) chat with him in the bar that evening. In the evening my wife and I were invited to dinner with John Wagner, his two daughters, Sarah and Rachel and his wife Jenny O’Conner (an author herself, check out The Goblin Princess on Amazon). Much to my amazement we would also be joined by the legendary Carlos Ezquerra, the co-creator of many of 2000AD’s greatest characters. John and Carlos were there at the beginning of 2000AD. To be at the table, asking them countless questions and being given advice by these icons we an amazing experience. 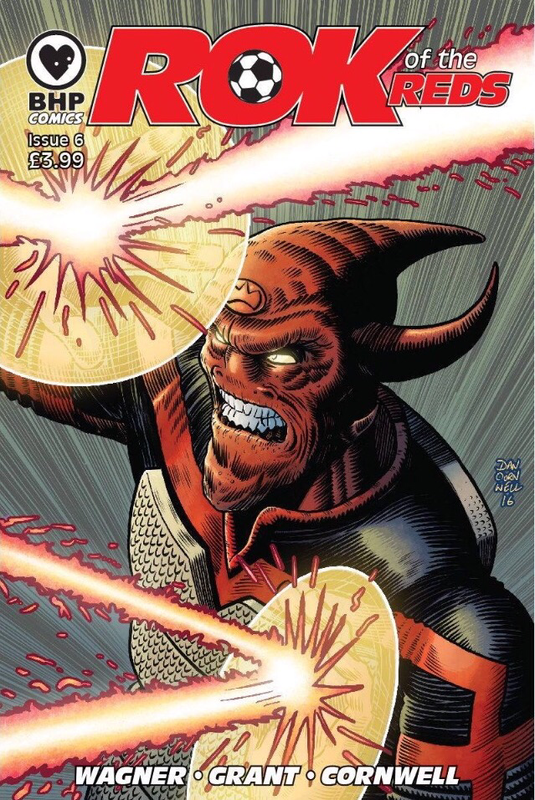 I also had the pleasure of meeting Matt Smith (Tharg the Mighty), 2000ad’s editor who confirmed that I will be drawing a Judge Dredd tale, written by John Wagner, and appearing in the comic this year! You can imagine my excitement. This is a dream of mine for the past 25+ years and working on ROK OF THE REDS has opened the door. I can’t thank John Wagner enough for what I’ve been able to do for the last year or two. 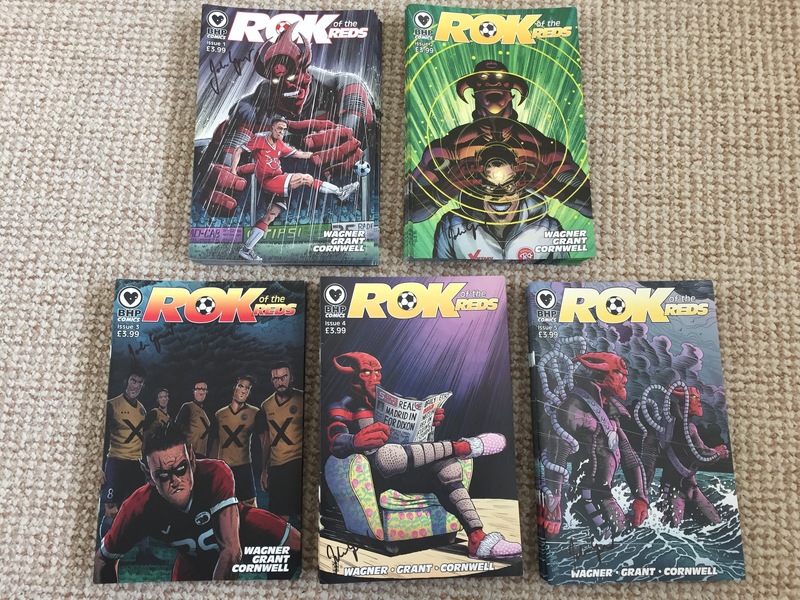 An absolute honour to work on Rok with him and a possible second series. In short, a weekend that I will never forget. ROK OF THE REDS 1-5 are still available. Contact me via Facebook or message me here if you’re interested in signed copies.